Investment fraudsters have cunning minds. They manipulate victims by psychologically profiling individuals and using fear-based tactics to convince them to invest. Oftentimes, the “halo” effect—the tendency for con artists to come off as trustworthy and likeable—blinds investors to the true nature of the individual who is promising them the world. We like to believe that other people are generally good, and are surprisingly trusting of people who are attractive and friendly. Unfortunately, most con artists get away with being con artists because they’re suave and charming. Offers of reciprocity, pressure to conform, and guaranteed returns are some of the biggest red flags to watch out for. Even financially savvy and otherwise intelligent investors can get swindled by fraud if the sales pitch is good enough. Already being dogged by a con artist? Here are three simple ways you can fight the temptation to give in, and turn tail instead. 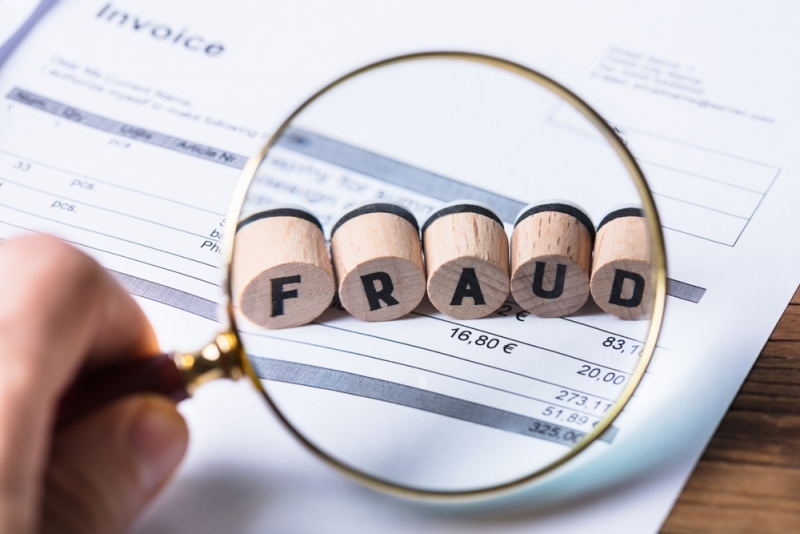 Fraudsters typically mount the pressure pretty heavily early on in the game because they’re counting on investors not to investigate their claims. If a con artist is insisting that you need to send money right now, he or she is using a distraction technique, trying to disorient and confuse you. Instead of caving to their demands, take some time to research. If they are truly offering an incredible opportunity for investment, it will still be available tomorrow. News releases and other biased sources provided by the company are unlikely to provide you with enough information to base your decision on. Instead, you should go straight to the source and dig deep into the company’s financial statements. This is accessible public information which you can locate through the SEC’s EDGAR filing system. In addition to analyzing the company’s background, you shouldn’t be afraid to look into the specific salesperson who is targeting you. The more knowledge you are armed with, the more likely you will be to spot red flags. Approach unsolicited offers with caution. If an unsolicited pitch arrives in your email inbox or you’re approached by a salesperson singing the praises of a new investment opportunity without much proof to back their claims, they’re more than likely running a scam. If there is no current financial information about the company available on the Internet or salespeople keep referencing foreign or offshore investments, you can be almost certain that you are being taken for a ride. Not many people are aware how common the “offshore investment” tactic is used by fraudsters. In reality, countless innocent people have been conned into sending money to foreign accounts after hearing the siren song of a promising investment opportunity. Offshore investments are one way in which con artists manage to swindle people successfully, since money sent abroad can be a lot harder to locate. Once it’s gone, it might be gone for good. Language can be used as a weapon, and con artists keep it in their arsenal. There is no one better at giving a convincing sales pitch than an individual who has perfected the art of the con. They will likely use specific phrases such as “once-in-a-lifetime opportunity,” “incredible gains,” and “no-risk investment” to glamorize what is nothing more than a scam. Luckily, there are many attorneys who specialize in this area. In New York City, there was a lawsuit filed against the UAE by Howard Fensterman for investment fraud that gained national attention. If you’re unsure whether you’re been conned, it might be time to speak to a lawyer. Skilled attorneys can help you navigate the nightmare that is being swindled by an investment fraudster, and untangle the intentionally confusing language these types like to use.